Vastu Shastra Tips for Your Home. Vastu Shastra, commonly known as Vastu, is a traditional Hindu system of architecture which literally translates to “science of architecture.”. In order to ensure well-being, happiness and prosperity of all the residents, it is important for a house to be built as per guidelines laid down by the Vastu Shastra. The designs are intended to integrate architecture with nature, the relative functions of various parts of the structure, and ancient beliefs utilizing geometric patterns (yantra), symmetry and directional alignments. 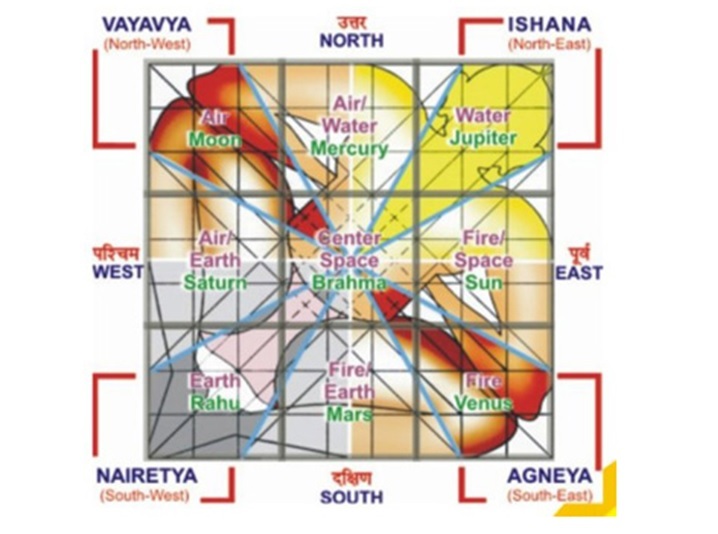 Vastu Shastra are the textual part of Vastu Vidya, the latter being the broader knowledge about architecture and design theories from ancient India. The Sanskrit word vastu means a dwelling or house with a corresponding plot of land. The vrddhi, vāstu, takes the meaning of “the site or foundation of a house, site, ground, building or dwelling-place, habitation, homestead, house”. The underlying root is vas “to dwell, live, stay, reside”. The term shastra may loosely be translated as “doctrine, teaching”. It is recommended that one performs a Bhumi Pooja (worshiping the earth) before starting the house construction. This is considered an auspicious beginning and heralds a good start to the proceedings. Pooja Room should be in the Ishanya (North-East) direction of the house and if it is not possible as per new apartment concept the North direction is also acceptable for positive waves for putting Pooja room. Pooja room should never be under the staircase.